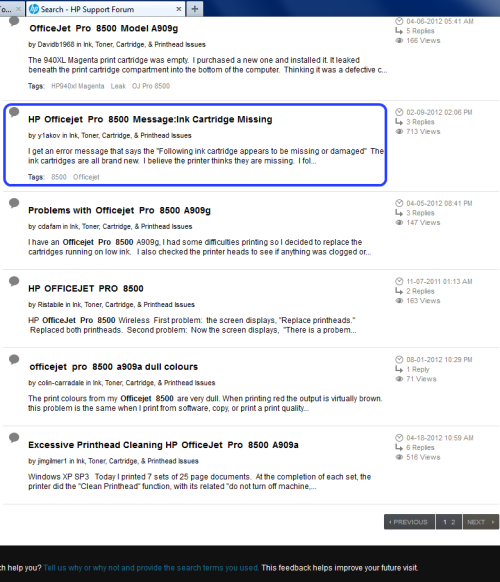 Following up my last blog post this month about the HP Officejet 8500 that failed miserably. I purchased a new Epson inkjet. I don't know how well it will do long term - but here are my first impressions. It worked first time, clean printing, no long alignment process with multiple sheets of paper (are you hearing me HP?). It's quiet... scratch that... VERY quiet. No random motions, adjustments, cleaning cycles (are you hearing me HP?). It's wide-format, meaning I can now use 11 x 17 paper - something I've been wanting to do for a long time - blueprints, printed news, etc. It came with the extra-life cartridges "out of the box" - not some 'starter units' that only last about 10 pages. Needless to say - my first impressions are good. We will see how the long term impressions are 'over time'. 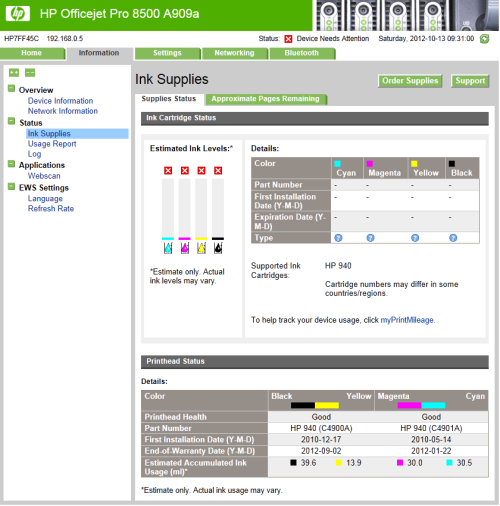 A bit over two years ago I replaced a very aging Lexmark inkjet printer with a brand new HP Officejet PRO 8500 multi-function (printer/fax/scanner) for about $250 hard-earned dollars. I purchased this printer solely because of the HP name brand and the fact that I've used/owned HP II LaserJet's for more than 20 years. I felt comfortable with the brand and given I was buying a "PRO" model - I expected this would be better than the cheap $50-100 category models (e.g. throw-aways). This printer appeared to be marketed to small business; from that I believed that HP was "saying" it was durable. Our household doesn't do a lot of printing - therefore I felt the printer would last a long time. After setting up the unit - it worked as expected for a short time and then I received an error and the printer would not work. I contacted HP and after troubleshooting, they sent out replacement printheads. That cured the problem. 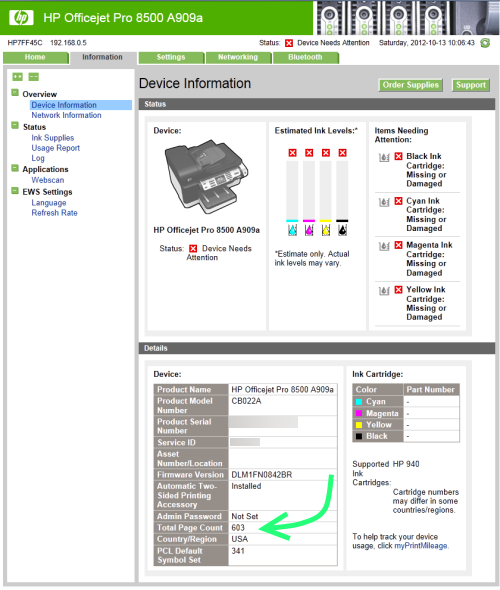 Missing or damaged ink cartridges... with codes for the cartridge. Print heads OK? No Cartridges? I said our household doesn't do a lot of printing - look at that... just about 600 pages printed in about 2 years. That's hardly a ream of paper. Is that all this printer is good for? Note - those are all HP cartridges - purchased brand new at the box stores. Not a one was 're-manufactured' (to my knowledge anyway) and I do not buy refilled units. So HP cannot use that argument. What you see in that picture is close to $200. Yep, nearly the cost of the printer - just trying to get it to work. What a frakkin waste of money! End result... this printer is a LEMON! 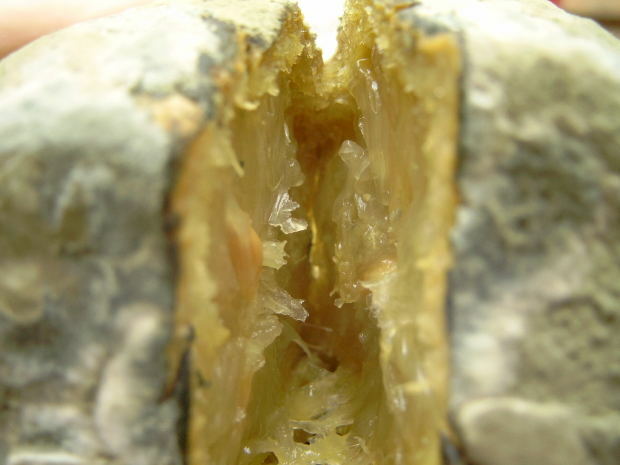 Not a nice fresh one useful for squeezing on my broiled whitefish... NO - it's an ugly mushed and rotted lemon, not worthy of composting. The HP 8500 series printers! In the 1970s - the automobile manufacturers took huge heat for "planned obsolescence" in their vehicles and it took them nearly 30 years to overcome that stigma. Well now! From my experience with this printer, I think that HP (maybe other printer manufacturers) has done a pretty good job of assuming that STINK! The media and regulatory bodies should do something about this issue. Printers should not be a 'new purchase' every 1 or 2 years. The wear parts should be replaceable, just like the brakes & tires are on a car. This expensive printer - PLUS the barely used/not used but tested ink cartridges are now just scrap. I will donate the cartridges and use the printer as a trade in. So... today becomes new printer shopping day. I will not be buying an HP Printer - today.